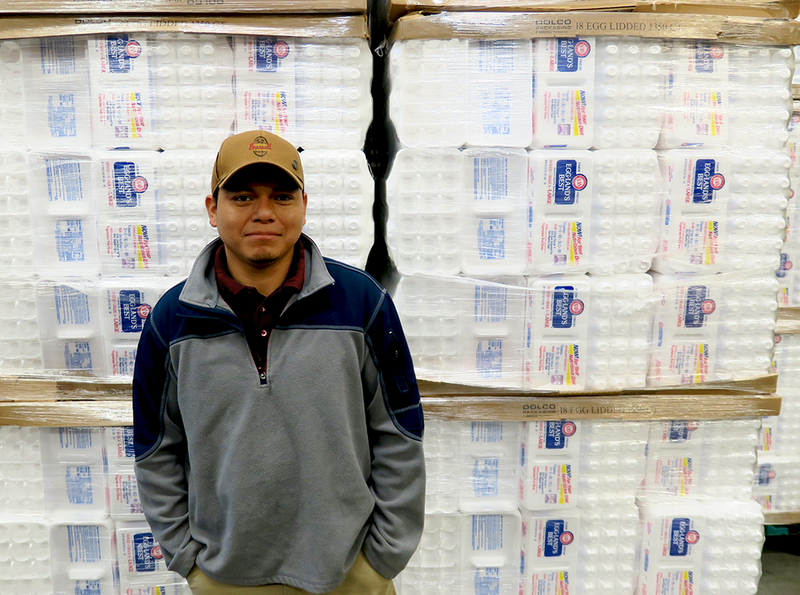 Elvis has been a Braswell Family Farms family member for six years and started his career here loading eggs from our farms onto the line to be washed and packed. Elvis also has worked on the palletizing line, placing boxes of full cartons on pallets to be shipped to our customers. Elvis enjoys the methodical part of his job. He loves to see the warehouse organized with each carton in their place. And we are so glad he does! In his free time, you can find Elvis playing music, usually the drums or singing. He also enjoys playing soccer. As for his Braswell Family Farms eggs, Elvis likes them scrambled with tomatoes, onions, and occasionally some jalapenos if he’s feeling up to it.